Magnolia Walk Ribbon Cutting 2018. Photo by Karen Quincy Loberg / For the Board of Supervisors. 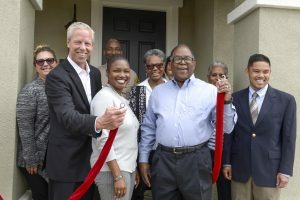 Supervisor Mark Ridley-Thomas celebrated the grand opening of model homes for Magnolia Walk, an affordable homeownership project in Willowbrook that is slated to welcome its first residents in October. Kitchen at Magnolia Walk. Photo by Karen Quincy Loberg / For the Board of Supervisors. Developed by The Olsen Company, Magnolia Walk will include 94 detached single-family homes, 30 of which are reserved for low- to moderate-income homebuyers who will receive down payment assistance from the Community Development Commission / Housing Authority of the County of Los Angeles (CDC/HACoLA). 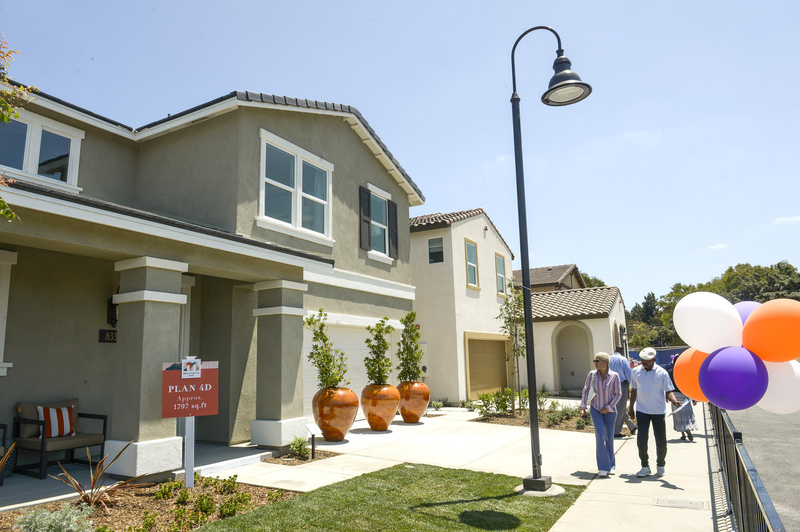 “There are few things more empowering and gratifying than the opportunity to own your home at a price that you can afford,” Supervisor Ridley-Thomas said. “Together, we intend to build Magnolia Walk as another shining example of what can be done when a public entity works hand-in-hand with a focused, private company to bring a dream to fruition” said Scott Laurie, President and CEO of The Olson Company. Backyard at Magnolia Walk. Photo by Karen Quincy Loberg / For the Board of Supervisors. Prices for the affordable homes will start at $80,000 while the market-rate homes will start at about $400,000. The project will offer two-story homes with 1,382 to 2,004 square feet of living space, each with a private rear yard and a two-car enclosed garage with traditional driveways. 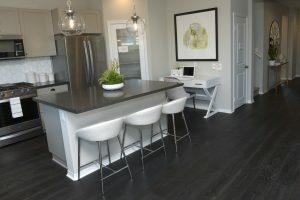 Each home will feature three to four bedrooms, two to three bathrooms, wall and attic insulation, “Cool Roof” rated tiles, a whole house ventilation cooling system, energy-efficient HVAC equipment, and hot water heaters. All homes are expected to be constructed by the end of 2019. The architectural style of the homes is compatible with the surrounding neighborhood. The development is designed to be a walkable community with an outdoor common area and direct access to Enterprise Park. 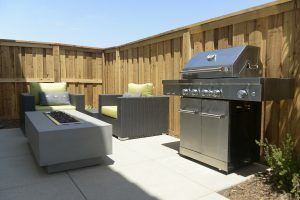 For more information on Magnolia Walk, visit www.magnoliawalkhomes.com.